More coffee at Arabesque Bazaar..
Leaving the Sefton park Food Festival on a sunny evening meant one thing..more coffee. 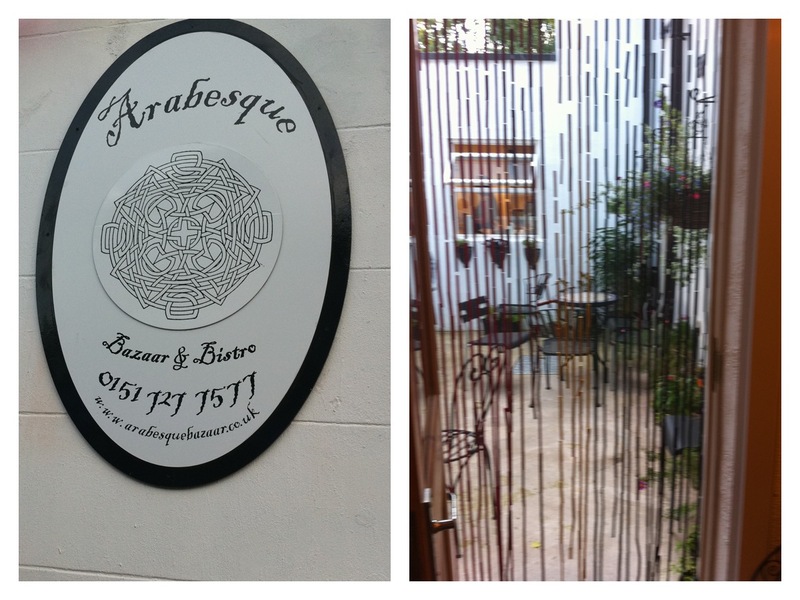 A quick walk to Lark lane and we picked a table sat outside the newish Arabesque Bazaar. The hustle and bustle of park goers passed us by heading for more food and drinks down the lane. 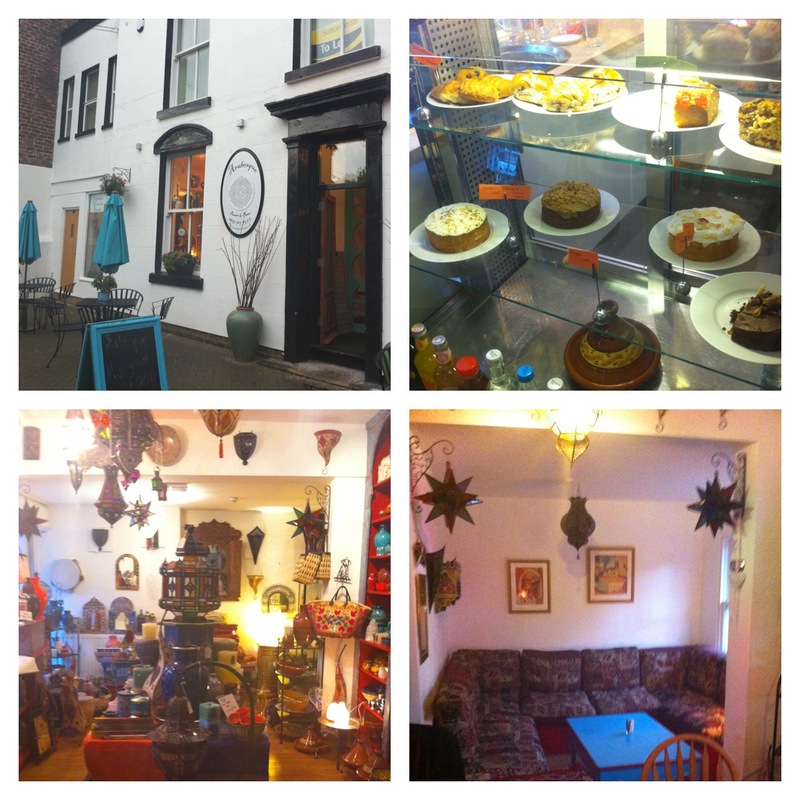 A unique little place selling moroccan food , coffee and cake and moroccan inspired homeware as well as shisha pipes and belly dancing on a weekend. A good pot of tea made with tea leaves, the coffee was typical cappuccino style. What this place has going for it is its out door area front and rear where you could spend time chatting with friends on a nice day. After quenching our thirsts I left for home having had a thoroughly lovely day. 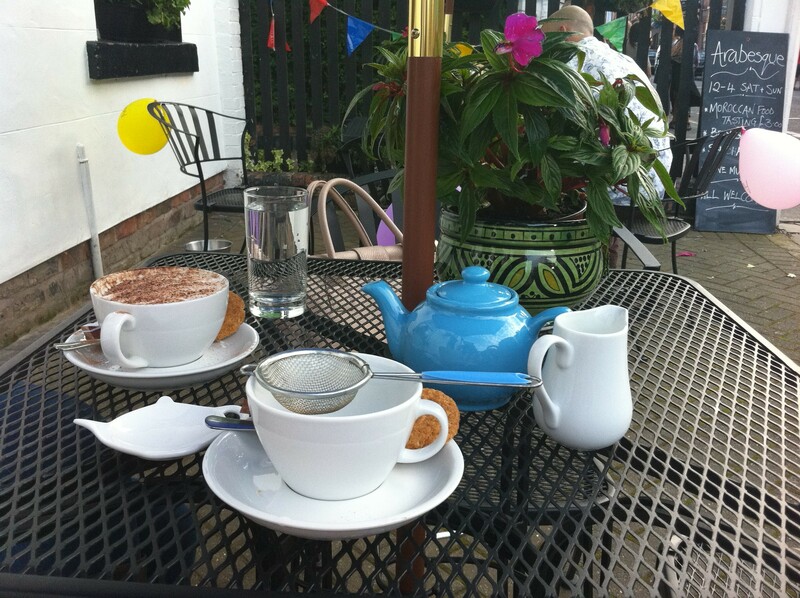 Delightful blog, lovely to read (and see) other people enjoying themselves on Lark Lane!